I was hankering of some lamb chops and Vandalin recommended me to go to Nasrin. At first look, I thought that I was in the wrong place. Nasrin’s doesn’t look like a restaurant. At the time I was there, there were only people smoking Shisha. The place looks very spartan and there is no decoration whatsoever. 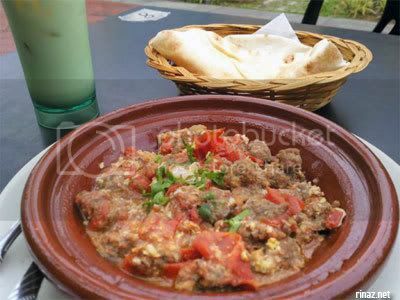 I was rather perplexed that in the end, I decided to give Deli Moroccan a second chance and I was glad to find the food standard there much better than when I first visited there. 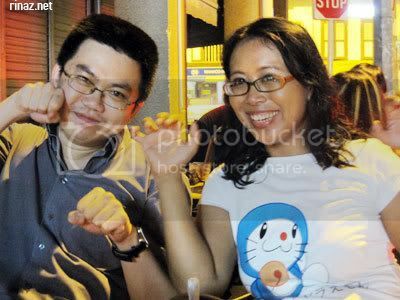 Regardless, Vandalin insisted that Nasrin did serve food and I went there again, together with Nadnut, Xizor and Chillycraps. We ordered the shawarna as the appetizer. This picture really doesn’t do it justice. The shawarna plate is delightful! I’m not so big on fries but I find myself enjoying them a lot, it was crispy and sprinkled generously with paprika, making it savoury. The chicken bits were tender and the hummus below it was fantastic! In just a few minutes the plate was completely clean! And I completely love my lamb chops. This is probably one of the best lamb chops that I’ve had. I liked the grilled smoky taste. The meat was tender and juicy with just the right amount of fat. Again the picture doesn’t do it justice, but my lamb chops were yum! 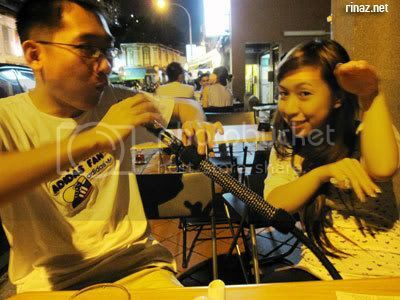 But apart from lamb chops, Nasrin was known to be a great chilling place with with friends just hanging out with shisha. Shisha has been something that I was curious with for the longest time. Thus at the end of our meal, we decided to give it a go. It was an interesting first time experience for me. Don`t think that I’d be doing it again though. Remember kids, its not that great for the lungs! You guys look like you’re having fun! oh no! i’m caught on video smoking pot! the smoking pot is classic!!!! The doll over the first photo looks like a character in LittleBigPlanet. Cute. All those photos taken by Samsung Innova8? Impressive. We did! Wished you could have joined us!!! Yeah, that video is classic! Hahahaha!!!! I’ve tried playing little big planet for a bit but I got a little confused, but sackman in LBP is really adorable isnt it? hey, is there like a act limit to that water smoking thingy? typo. is there like a age limit* sorry! Previous PostPrevious Have you ever eaten food that made you feel full? Next PostNext Cart is arriving today!